Hedgebrook's website say that it "supports a growing global community of women writers from all over the world with residencies at our retreat." Left to right: Molly Smith Metzler, Radha Blank, Susan Soon He Stanton, Lisa Loomer, Alva Rogers. 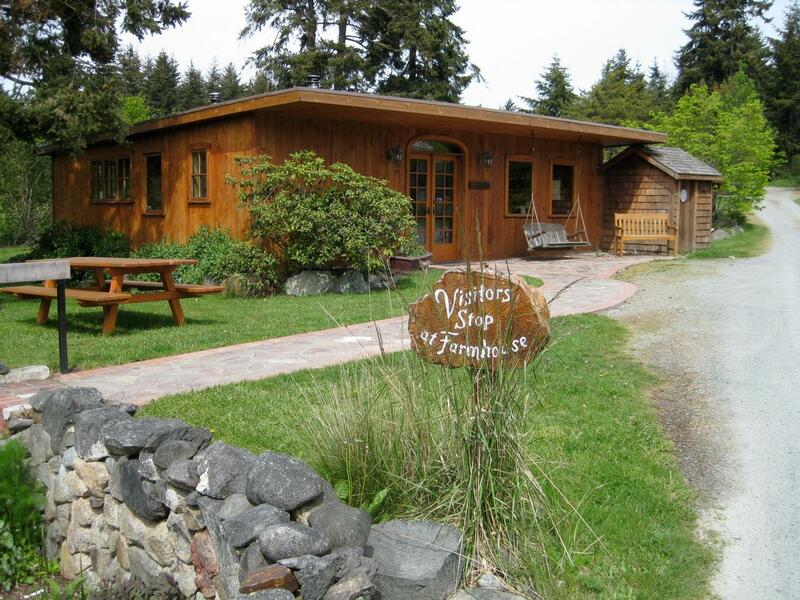 On Whidbey Island, among the evergreens, sits Hedgebrook, a writers retreat solely for women. Nestled on 48 acres, women writers, like feminist and journalist Gloria Steinem, have been seeking solitude at the property since 1988. It's a piece of land that many say is a source of creative power. Recently, young women playwrights have been honing their works with only the sounds of the surrounding forest to interrupt their writing. They've been invited to Whidbey Island to join in the Hedgebrook Women Playwrights Festival. For KPLU's weekly Artscape series, I travelled to Hedgebrook to talk to two of the writers about their work. Imagine writing a play while sitting in a small apartment on a busy avenue in the never-ending stimulus that is New York City. One day, to your delight, you're invited to spend two weeks at a women's playwrighting retreat in the Pacific Northwest. It's a dream come true for two New York playwrights who have come to Hedgebrook to focus on their writing. Molly Smith Metzler says there's a different kind of energy at Hedgebrook than in the hustle and bustle that is The Big Apple. "There's something kind of very healing and mending here. Sometimes, living in NYC, I forget to be human. You forget that the people around you are people because we start to all feel like we're all part of this big machine. It's just such a pleasure to be able to connect with other women and slow down a second and hear what makes us tick." Radha Blank considers herself a storyteller and performer. She says that the open air and solitude of Hedgebrook are helping her characters come to life. She's at the writer's retreat to work on a solo performance piece called HappyFlowerNail - that's all one word, by the way. The play is about the relationships between the women who flow in and out of a Korean-owned nail salon in Brooklyn. "This place is the hub for many people, for many women from many different places. I mean, what kind of draws them to the shop is this idea of, like, beauty but really a lot of the women are coming there seeking either refuge or trying to find a home." Will Miss Sung Hold On To Her Salon Or Leave It To Betsy? The owner of HappyFlowerNail, Miss Sung (played by Radha) is at a crossroads. A new, state-of-the-art nail salon has opened down the street and she wonders if it's worth holding on to her business for her daughter, Betsy. Molly Smith Metzler is spending her time at Hedgebrook rewriting a play called "Carve." She reads an excerpt with Chris Sumption. Chris is a dramaturg to the playwrights, a kind of cheerleader, mentor and partner in the writing process. In this scene, an artist's assistant has just come back from visiting the garbage dump. She's found something she wasn't expecting. Each playwright at Hedgebrook has her own cottage with a stained glass window and a wood-burning stove. Radha has found that lighting that stove every morning sets the mood for her writing in a very primal way. 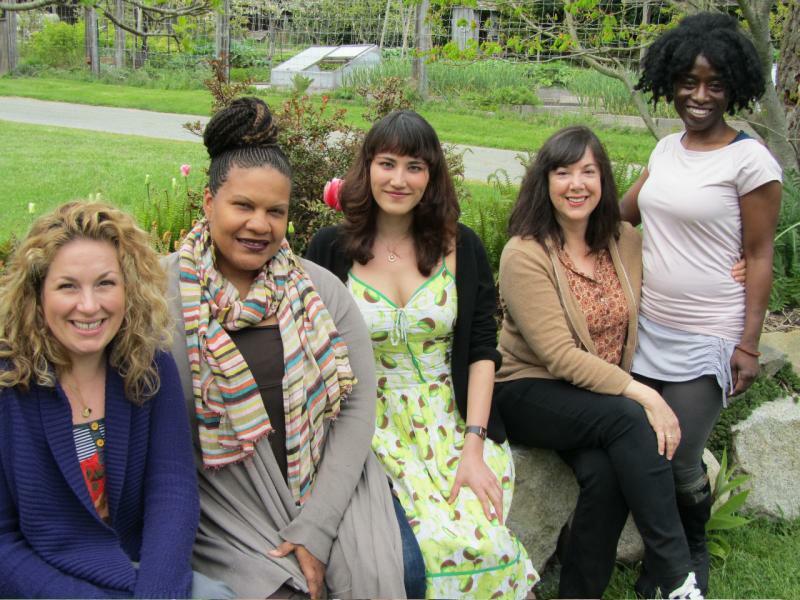 The Hedgebrook Women Playwrights retreat concludes with a reading of the writers' work Monday evening (May 16) at Seattle's ACT Theatre.